Delegate: Mr. Declan Meally , Sustainable Energy Authority of Ireland. Ireland is actively committed to harnessing its abundant wave, tidal and offshore wind energy resources while developing an indigenous ocean energy industry in the process. 2018 saw the completion of the review of the Offshore Renewable Energy Development Plan. The review confirmed that all relevant agencies and Government departments within Ireland remain committed to support this burgeoning sector and offering one single gateway for information and access to the ocean energy industry in Ireland. 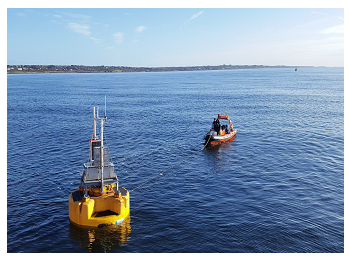 Development of Irish technologies such as OE Buoy and Gkinetic were also greatly progressed in 2018. 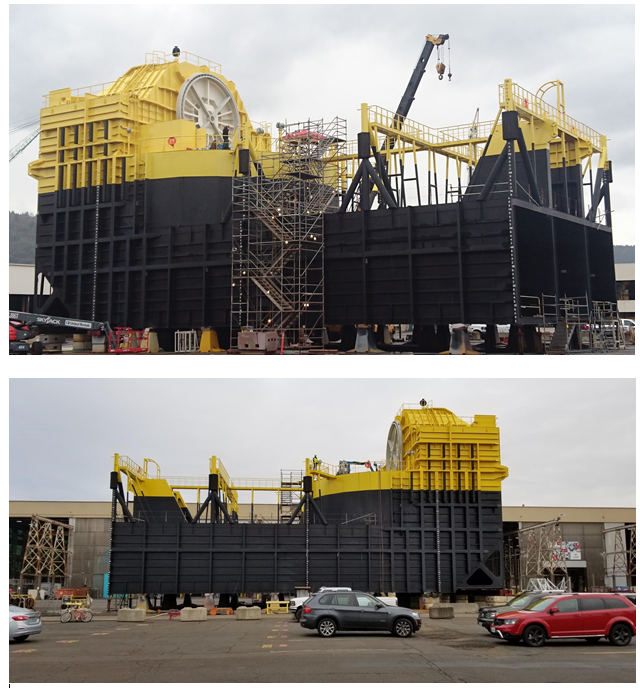 OE Buoy has completed build of its 500 kW machine in Vigor ship yards in Oregon USA. The buoy will be transported for testing in Hawaii in Q1 2019. Gkinetic tested 25KW prototype in Bordeaux in France. Disappointingly, 2018 was also the year that Naval Energies ceased production of the Irish based OpenHydro tidal technology, despite successfully deploying a 2MW machine in Canada in July 2018 and securing options to deploy in France. Regardless the industry is progressing and knowledge gained in the development and operation of this technology has not been lost, given that many have chosen to reinvest their knowledge and expertise into other companies within the sector. In 2014 the Department of Communications, Energy and Natural Resources (DCENR) published the Offshore Renewable Energy Development Plan (OREDP) (http://www.dcenr.gov.ie/energy/en-ie/Renewable-Energy/Pages/OREDP-Landing-Page.aspx). The OREDP highlights the potential opportunities for the country in relation to marine energy at low, medium and high levels of development, as derived from the findings of the Strategic Environmental Assessment of the Plan carried out prior to publication. The OREDP, as a policy document, sets out the key principles, specific actions and enablers needed to deliver upon Ireland’s significant potential in this area. Accordingly, the OREDP is seen as providing a framework for the development of this sector. The over-arching vision of the Plan is “Our offshore renewable energy resource contributing to our economic development and sustainable growth, generating jobs for our citizens, supported by coherent policy, planning and regulation, and managed in an integrated manner” (DCENR, 2014). The Plan is divided into two parts. The first part deals with the opportunities, policy context and next steps, including 10 key enabling actions for the development of the sector. The second part focuses on the Strategic Environmental and Appropriate Assessment of the Plan. The implementation of the OREDP is being led by the Department of Communication Climate Action and Environment (DCCAE) who have put in place the Offshore Renewable Energy Steering Group (ORESG) in order to ensure successful implementation. The Steering Group consists of the main Government departments and agencies with roles and responsibilities that relate to energy and the marine environment, developers and broader interest and user groups when necessary. The work of the ORESG, and hence the implementation of the OREDP, is organised according to three work-streams: Environment, Infrastructure and Job Creation. The Job Creation working group has responsibility across several actions, including identifying additional exchequer support requirements, supply chain development and communicating the message that ‘Ireland is Open for Business’. Under the Environment work-stream the Group ensures the needs of the marine energy industry are reflected in the on-going reform of the foreshore and marine consenting process. The actions deriving from the SEA and AA of the OREDP are also taken forward under this work-stream to ensure that future marine energy development takes place in an environmentally sustainable manner. The Infrastructure working group concentrates on supporting and delivering objectives of other policies such as the National Ports Policy and Grid 25 so as to expedite integrated infrastructure development which will facilitate the offshore renewable energy sector. In September 2017 the department of Communications Climate Action and Environment issued a the ‘Public Consultation on the Design of a new Renewable Electricity Support Scheme in Ireland’. This public consultation focused on the design options of the proposed new RESS for Ireland. This was the second stage in this process to review and design Irelands Renewable Energy Support Scheme (the initial consultation had been issued in July 2015). A separate Community Category in also included within the RESS to support community-led projects. Several proposals regarding the features of a community scheme within the new RESS consultation were suggested. These proposals included: projects supported under the RESS must offer the community an opportunity to invest, a floating feed-in-premium (FIP) should be made available for smaller community projects (<6MW wind, <1MW other technologies), and development grants should be made available to suitable community-led projects. The report also explored several means of enabling communities to make their investments, including tax incentives, green bonds, facilitating crowd funding and offering investment soft loans. No recommendation is made regarding supporting these options, but further analysis of these measures is proposed to understand their suitability. It is also proposed that pathways for micro-generation be developed outside of, but in conjunction with, the main RESS. The DCCAE are currently in the process of seeking state aid approval for the scheme. It is anticipated that the first auction call will open in 2019. To meet the changing requirements of the ocean energy sector, and particularly ocean energy technology developers, SEAI is investigating funding mechanisms to help accelerate the commercialisation of wave and tidal energy devices and components. In 2016 the Marine Renewables Industry Association (MRIA) published its report ‘Funding the Development of the Ocean Energy Industry in Ireland’, with the support of SEAI. This report recommends the establishment of a ‘Pre-Commercial Technology Fund (PCTF) to close the ‘funding gap’ for device and sub-system developers at TRL3+ and to complement the current Prototype Development Fund’. SEAI commissioned Black & Veatch and Carbon Trust to carry out two studies to explore options for expanding SEAIs schemes as per MRIA proposals. These studies considered the Development of Funding and Governance Options for Irish Ocean Energy Programme and Ocean Energy Technology challenges. Following the completion of the studies, SEAI held a workshop with industry to present the findings of them and to gain feedback from industry on a possible pilot programme. SEAI are continuing to explore ways of establishing a pre-commercial fund, including the option to collaborate on a H2020 project which will leverage EU funds for such a programme. The ERA-NET scheme was an innovative component of the European Union’s Framework Programme, which supported co-operation of national/regional research funding programmes to strengthen the European Research Area (ERA). OCEANERAâ€�NET (http://www.oceaneranet.eu), aimed to coordinate and support research, innovation and knowledge exchange in the Ocean Energy sector amongst European countries and regions, by launching transnational competitive joint calls for funding collaborative RTDI projects. SEAI participated in the OCEANERA-NET project, along with 16 funding Agencies from 9 European countries. The OCEANERA-NET programme, which ran from December 2013, closed in February 2018, following two successful joint calls for collaborative research and innovation projects. Six projects with nine Irish partners were approved in the two OCEANERA-NET joint calls. There are currently two active OCEANERA-NET projects with Irish partners. The Ocean Energy ERA-NET Cofund (OCEANERA-NET COFUND) project is a five-year action that secured support through the European Union’s Horizon 2020 Programme for Research and Innovation in 2016. This new programme will build on the work of OCEANERA-NET and with an increased budget and financial support from the EU Commission, the COFUND programme focuses on collaborative projects that demonstrate and validate innovative technologies for ocean energy. OCEANERA-NET COFUND aims to support transnational, collaborative research and development projects in ocean energy through joint calls and carry out other joint activities which will enhance the coordination of public research and innovation programmes and improve the exploitation of results of the projects funded. The first joint call was launched in 2017 and was open to applicants from three European countries (Ireland, Spain, Sweden) and four regions (Brittany, Pays de la Loire, the Basque Country, and Scotland). Three projects, with four Irish partners, were awarded grants in the COFUND joint call. MaREI is a research, development and innovation centre, supported by Science Foundation Ireland, that focuses on the advancement of energy and marine research, innovation, and commercialisation to facilitate Ireland’s leadership in confronting urgent global challenges, specifically the energy transition, climate action, and blue growth. By the end of 2018, MaREI had over 200 researchers in place working on a variety of fundamental and applied research projects across its six academic partner institutions. These included targeted projects with over 50 industry partners, comprising a range of SMEs and MNCs across the energy and marine spaces, and involved engagement with stakeholders from across government, academia, and society to deliver the underlying policy context, societal engagement, and capacity building necessary to support Ireland’s leadership in confronting the aforementioned global challenges. MaREI’s research capabilities draw upon the excellent track record of well-established marine and renewable energy-based research groups across each of its academic partners, covering a wide range of cross-cutting topics such as device design and testing, novel materials, offshore operations, coastal and marine management, marine robotics, observation and monitoring, energy storage, aquaculture and green gas. The research team comprises internationally recognised experts in these fields from University College Cork, National University of Ireland, Galway, University of Limerick, Maynooth University, University College Dublin and Cork Institute of Technology, who have complementary research backgrounds key to providing the underpinning research necessary for Ireland to achieve commercially successful marine and renewable energy industries. A Deep Ocean Wave Basin (circa 1:15 scale testing). The Open Ocean Emulator, an ocean wave basin with a sophisticated 2-sided paddle system and a two sided absorption system (circa 1:50 scale testing). Lir is an essential part of Ireland’s ocean energy research and testing infrastructure and provides a significant launch pad for both national and international marine renewable energy developers. All tank and infrastructure commissioning has been completed on site and the Lir National Ocean Test Facility was officially opened in January 2019. The H2020 INFRARIA 2016-2017 MaRINET2 project will provide and co-ordinate free access to ocean energy developers to test infrastructure throughout Europe. MaRINET2 has built upon the previously successful MaRINET programme. UCC are project co-ordinators. Facilities at NUI Galway and the University of Limerick are also included, as well as the Galway Bay Marine and Renewable Energy Test Site. The H2020 TAOIDE proposal is to develop a fully-integrated generator to grid energy delivery system with high reliability and availability, suitable for use in multiple architectures of marine renewable energy systems. This work will provide the basis for development of a power production system certified for use in marine renewable energy applications – a system designed for the specific environments and regulations of the European Union market, utilising skills, expertise and capabilities of European partners. The Irish partners in these projects are ORPC Ireland, UCC, and Letterkenny Institute of Technology. INTERREG NWE FORESEA project (Funding Ocean Renewable Energy through Strategic European Action). This project brings ocean energy technologies to market by providing access to North-West Europe’s world-leading network of open sea test centres. Through the project, the performance of innovative ocean renewable energy technologies will be demonstrated in real sea conditions, helping to leverage the investment needed to take these new products to market. Irish Partners are Smartbay Ireland and access to the Galway Bay test site can be achieved through this mechanism. INTERREG Northern Ireland, Ireland and Scotland BRYDEN PHD Programme. This programme offers fully funded PhD Studentships in Marine renewable energy and Bio-energy in the following institutions - Queen’s University Belfast, University of the Highlands and Islands, Letterkenny Institute of Technology, Ulster University, Agri-Food & Biosciences Institute, Donegal County Council and Dumfries and Galloway Council. Using a Doctoral Training Centre model, the BRYDEN CENTRE project will recruit 34 PhD students and 6 PDRAs; each of whom will work with industry to produce industrially relevant research with the potential for commercial exploitation and resulting economic growth within the region. Final output will be 68 peer reviewed journal and conference publications with cross border authorship. Letterkenny IT are the Irish Partners in this project. INTERREG NWE OPIN project (Ocean Power Innovation Network) is a 3 year project running from October 2018 to December 2022. OPIN will design, test and deliver an innovation model to build cross-sectoral collaboration, to accelerate growth of the Ocean Energy sector and its supply chains. OPIN will build an environment where SMEs can collaborate transnationally, and across sectors, and build wider supply chains for the Ocean Energy sector. OPIN activities include the growth of a transnational cross sector network, challenge calls for cross-sectoral collaborative innovation projects, and tailored support to SMEs. Irish partners include SEAI, as lead partner, with MRIA, ESB and Enterprise Ireland as associate partners. INTERREG NWE AFLOWT (Accelerating market uptake of Floating Offshore Wind Technology) project will run from January 2019 to December 2024. The project aims to build a full-scale floating wind device to deploy and test in the Atlantic Marine Energy Test Site (AMETS) in Belmullet. This will demonstrate the investability of floating wind technology and promote its uptake in north west Europe and globally. H2020 OceanSET (Support to the Realisation of the Ocean Energy Implementation Plan of the SET-Plan) project run from February 2019 to December 2021. The project was developed to support the Implementation of the European Strategic Energy Technology Plan (SET Plan) for Ocean Energy. The Implementation Plan focuses on the key challenges for wave and tidal energy technologies. Its ambition is to outline a structured approach that will enable wave and tidal technologies to follow a credible development path, with the ultimate destination of a commercially viable wave and tidal industry. SEAI the lead partner in this project and is the only Irish partner. INTERREG NWE MEA project (Marine Energy Alliance) is a 4-year project running from May 2018 to May 2022. The aim of MEA is to progress the technical and commercial maturity level of early-stage (TRL 3 – 4) marine energy technology companies with the overall goal of reducing the risk of device failure in subsequent demonstration phases. Irish Partners include Exceedence Ltd and MaREI (Marine and Renewable Energy Ireland). Irelands Galway Bay Test Site was awarded a new 35 year lease this year and the award of the lease allowed for the test site to be recommissioned in July 2018. Since recommissioning, the test site has deployed a number of smaller projects, and the pipeline for 2019 looks promising in particular there has been much interest in the floating wind test berth. Some of the smaller projects deployed on site in the latter half of 2018 included a glider with acoustic sensors, the glider was deployed and piloted at the test site where it collected acoustic data 24 hours a day over a period of 7 days. The project will facilitate an acoustic landscaping of the area and a comparison between the glider hydrophone data against the fixed PAM system on the subsea observatory. Anteia: Funded by an EU project Jerico-Next, a Spanish company called Zunibal deployed their wave monitoring equipment at the test site. Zunibal are testing a directional wave buoy called Anteia. This project will validate this technology against the permanently deployed Waverider buoy at the test site. Two other projects funded under Jerico-Next were also deployed on the observatory relating to microplastics and video analysis of benthic communities. eForcis: Also deployed on site in 2018 was a small-scale energy harvesting device called eForcis. The energy harvesting device is housed in a water tight box which sits on top of a Marine Institute buoy and uses the motion of the buoy and simple electromagnetic principles to harvest energy. The energy generated in this novel device can be used as an alternative power source to address electricity supply shortages in off-grid marine devices operating in harsh marine conditions. The Spanish company are funded by the EU Ocean-EraNet programme and the SME. instrument to trial and validate the eForcis design in SmartBay and will perform a second trial in 2019 of beForcis, which is an improved eForcis device. In 2017, DesignPro were funded €1.9 million from EU’s Horizon 2020 SME Instrument Programme for a €2.7 million project to develop and commercialise small-scale turbines. The 27-month project kicked-off in July 2017 and the company have achieved a number of milestone deliverables including the deployment of a 25 kW turbine at the SEENEOH test site in Bordeaux, France where it is undergoing rigorous performance and environmental testing. New Wave Technology trading as Ocean Energy plan to test a half scale model in US Navy WETS facility in Hawaii in Q1 2019. The project is co-funded by both SEAI and DOE in the US. The project has been in place since 2016 and up to now has focussed on transport and access to the site. It is stage/phase 4 of the Development & Evaluation Protocol for Ocean Energy technology, the prior stages having been completed with financial assistance from the Marine Institute, Enterprise Ireland, EU funding and SEAI. The prior stage included several deployments at the Galway Bay Quarter Scale test site – during which the device accumulated over 24,000 hours of open water testing. The annual Ocean Energy Europe Conference and Exhibition is one of the most important events on Europe’s ocean energy calendar. This year’s conference will take place in Dublin in October 2019. The conference will provide opportunities to network and obtain access to decision makers, thought leaders, investors and entrepreneurs in the sector. The Ocean Power Innovation Network (OPIN) is an EU project, funded through Interreg NWE, led by Irish partner SEAI. The previously established OPIN initiative sought funding to expand the number of regions in which it operated. To date OPIN has facilitated 4 workshops, held in Dublin, Edinburgh, Belfast and Aberdeen, which highlighted opportunities for learning and technology transfer from other sectors such as offshore oil and gas and encouraged collaboration. The project will achieve its objectives through a programme of symposiums, workshops, and masterclasses to be held over the 3 years of its lifetime. Ireland will directly organise at least two cross-sectoral workshops and will hold the annual OPIN Symposium in Ireland in 2019. SMEs in the sector will also have access to workshops and masterclasses organised in all of the project partner regions over 2019-2021. 2018 saw numerous new or upgraded features. The Marine Renewable Energy Atlas, an interactive GIS map of Ireland and its territorial waters, was updated to include the most relevant, high quality downloadable data available. Including test site infrastructure, INFOMAR data, socio-economic data, monthly model means from East Atlantic SWAN numerical model and North Atlantic ROMS numerical model, research facilities locations, ports locations. The media section of the website was also redesigned in 2018 to provide regular updates on Ireland’s key activities and achievements in the ocean energy sector. Marine Spatial Planning (MSP) is not currently used as a decision making tool. However, the Marine Coordination Group is progressing the development of MSP in Ireland, work that will continue in the short and medium term. The 2014 EU Directive on a Framework for Maritime Spatial Planning requires Member States to put maritime spatial plans in place by March 2021 at the latest. Ireland has until 2016 to transpose this directive into Irish law. The Department of the Environment, Community and Local Government will play a leading role in the development of a maritime spatial planning framework for Ireland. As part of the Department of Communications, Energy & Natural Resources (DCENR) Offshore Renewable Energy Development Plan (OREDP), a Strategic Environmental Assessment for Marine Renewables was also conducted in 2010. Separately the Marine Renewables Industry Association (MRIA), the trade association for marine renewables on the island of Ireland, has previously published a White Paper on Initial Development zones (MRIA, 2010). This proposed that four initial Development Zones (IDZs) for Ocean Energy should be prioritized by the Government and that efforts to achieve the 2020 target should be focused on these zones. Site selection is a matter for project developers in the first instance, subject to the relevant consent processes. Work has now commenced, through the OREDP, on mapping opportunity and constraints to inform future development. • The Commission for Energy Regulation (CER) – responsible for licensing construction of new generating stations and their subsequent operation. • Local planning authorities or An Bord Pleanála (The Irish Planning Authority) – responsible for consenting onshore components development. • Onshore development – where a project includes onshore components, consent for development will be required from relevant local planning authorities and/or An Bord Pleanála (The Irish Planning Authority). There is no specific authority responsible to manage the ocean energy consenting process as a whole (“one stop shop” facility or entity). However, the new Maritime Area and Foreshore (Amendment) Bill will align the foreshore consent system with the planning system in order to streamline the EIA and AA processes for projects. An EIA is assessed on a case-by-case basis. In the case of a proposed development on the foreshore, DECLG formally decides as part of the foreshore consent process whether or not a project would or would not be likely to have significant effects on the environment. DECLG undertakes a screening exercise in respect of each application to determine if an Environmental Impact Assessment (EIA) is required. Where a proposed development also requires planning consent for development onshore, the relevant planning authority (a local authority or An Bord Pleanála) as part of the planning process will decide if an EIA is required or not. In the case of a proposed development on the foreshore, if an EIA is required the foreshore lease/license application to DECLG will have to be accompanied by an Environmental Impact Statement (EIS) in accordance with section 13A(1)(c) of the Foreshore Act, 1933. There is no specific legislation to deal solely with ocean energy. Ocean energy developments are subject to the same legislation as any other marine development. The Irish Government has recently published the Offshore Renewable Energy Development Plan which enables cross government support and collaboration for the sector and will inform ongoing review of relevant legislation. The current Foreshore Act has been in place since 1933 and has been subject to limited updating in that time. A new Maritime Area and Foreshore (Amendment) Bill is expected to be enacted. The new Bill will aim to align the foreshore consent system with the planning system, to streamline the EIA process for projects and to provide a coherent mechanism to facilitate and manage development in maritime sea. Two other policy initiatives are also of relevance. The Government of Ireland published ‘Harnessing our Ocean Wealth’ in 2012. This is an Integrated Marine Plan for Ireland which has the goal of delivering a thriving maritime economy, healthy ecosystems and more engagement with the sea. As part of the implementation of this policy two specific Task Forces have been created: the Enablers Task Force, which has been working on MSP at a strategic level, and the Developers Task Force. With respect to the OREDP, a Steering Group has been created to take forward actions identified in the plan. These actions are being delivered by three working groups with particular focus on the environment, job creation and infrastructure development. The provisions of the Public Participation Directive were applied to consent applications under the Foreshore Acts which require the preparation of an EIS by the European Communities (Foreshore) Regulations 2009 (S.I. No. 404 of 2009) and the European Union (Environmental Impact Assessment) (Foreshore) Regulations 2012 (S.I. No. 433 of 2012). These regulations amend the Foreshore Act and apply to the consideration of foreshore consent applications subject to EIA. These regulations provide an enhanced level of public participation and information sharing on environmental matters. • Guidance notes for pre-application consultation and investigate licenses available on the Department of the Environment, Community and Local Government (DECLG) website. • Guidance for Authorization to Construct and License to Generate are available on the Commission for Energy regulation website. Usually deployment in designated test centers are already pre-consented so developers do not have to submit a full application comprising all the typical consents providing certain initial conditions are met. The Galway Bay Test Site is currently operated as a pre-consented test site where developers may test their quarter scale devices. The lease for the Galway Bay Test Site will be reviewed in 2016. In the case of the Atlantic Marine Energy Test Site, is it anticipated that a lease will be granted to the Sustainable Energy Authority of Ireland (SEAI) and individual WEC developers will be required to apply for a license consenting authorities (currently DECLG) to use an area within the test site. It is intended that the SEAI will produce guidance for developers in this regard going forward.